Girly-girl themed bridal showers not your thing? Then maybe it’s time to go green, succulent green that is! 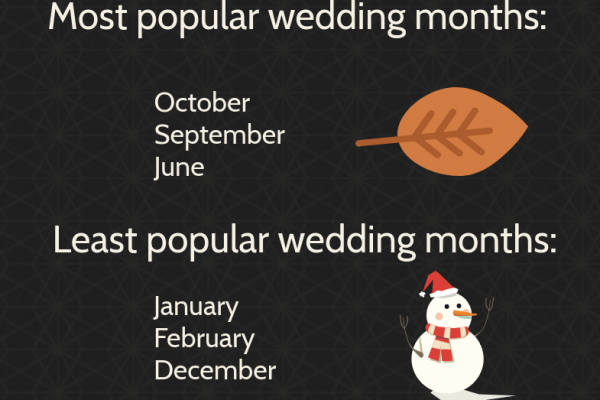 We’re totally digging this stylish wedding trend. With its lush colors, inspired shapes, and cool packaging options, we’re more than happy to incorporate this trend into any and all wedding celebrations. 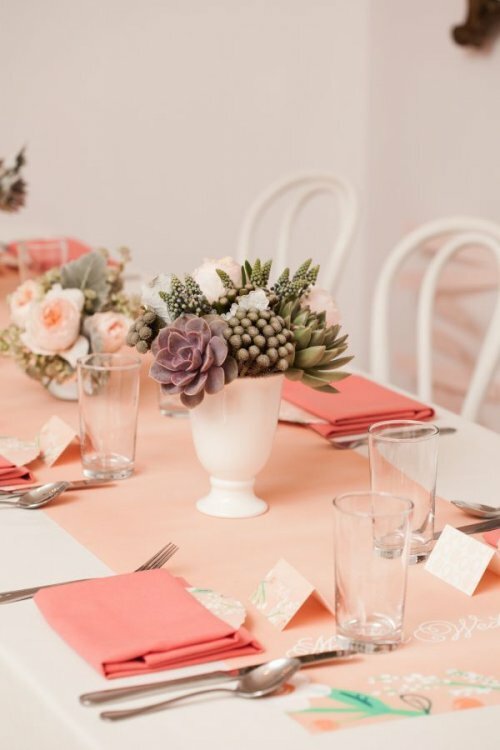 So for a hip, modern, and on-trend bride-to-be, a “Succulent Oasis” theme is the perfect decor that’s both elegant and pretty. She’ll love the look! 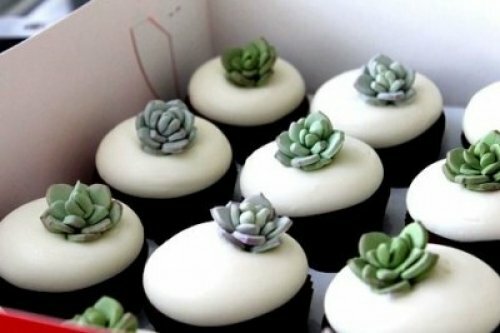 For a truly delicious succulent oasis look, think beyond the live succulent. 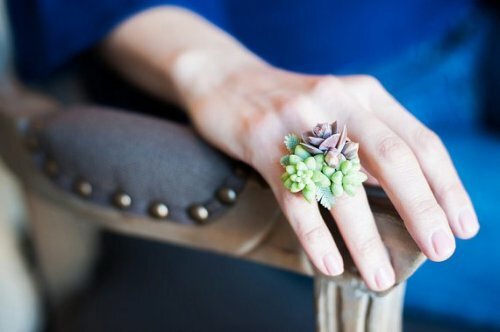 This trend is so hot right now, it’s easy to find succulent inspired everything! Throw pillows, check. Print art, check. 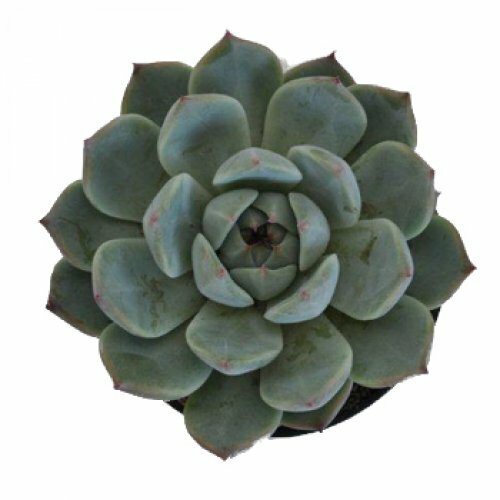 Our point is, don’t be too rigid with your succulent requirements. Let your creativity roam free in this department. While we don’t advise a succulent blended beverage, we DO however advise a succulent inspired looking drink! Try this fruity version for an on-theme option. 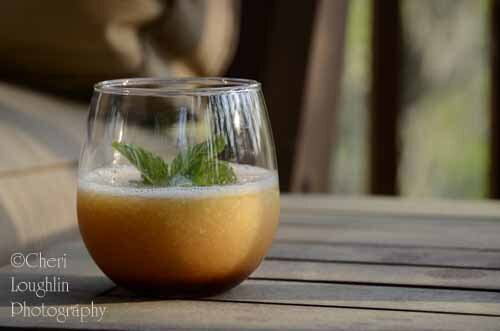 The mint finish at the end pulls the flavors and succulent look together beautifully. Succulents come in all sizes. You can find them in miniature all the way to giant-sized. 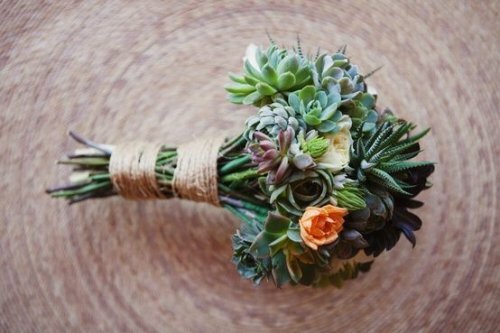 So take advantage of this opportunity to play with variety and create a unique succulent themed centerpiece. 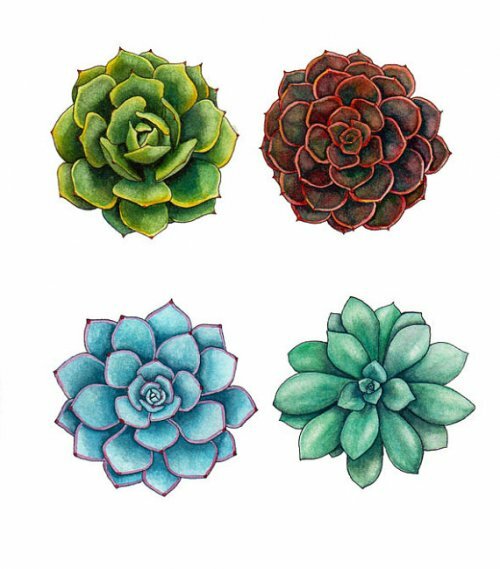 You can focus on one giant succulent, or have several small ones join together for a pretty finished piece. 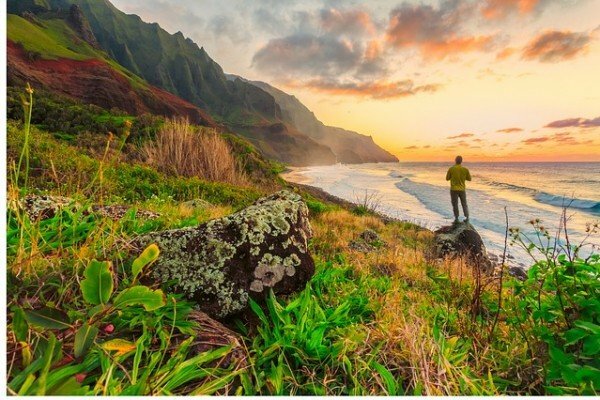 The world is your oyster (or succulent)! 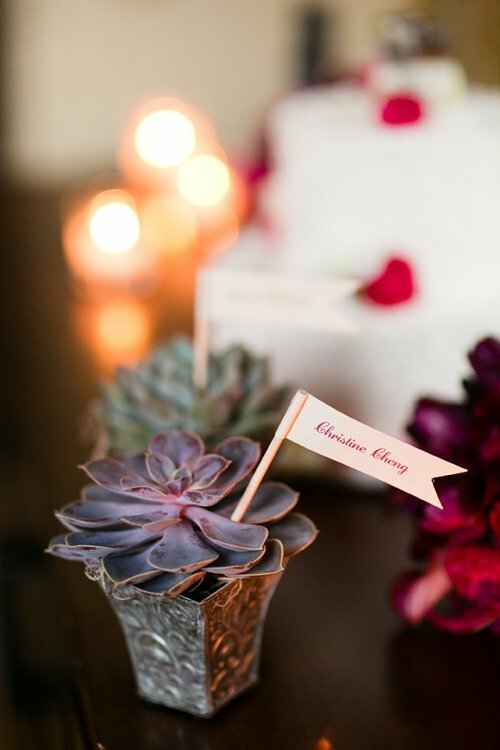 Try using small succulent filled containers with name cards as table place cards. They’re super adorable looking, on-theme, and guests will love taking something with their name on it home with them! Easily play up this trend by decorating cakes or cupcakes. You can use an actual succulent or succulent inspired decorations. Whatever you choose, it will be gorgeously delicious either way. Fashion a bouquet made of succulents for the bride-to-be. This “pre-show” bouquet is extremely on-theme and she’ll love practicing for the big day with a pretty and one-of-a-kind bouquet! 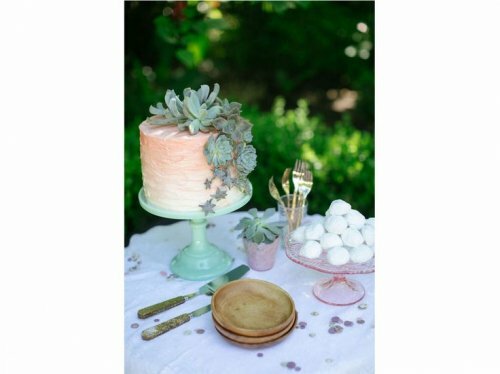 Bridal shower games and activities can be extremely fun, especially when they’re succulent themed! 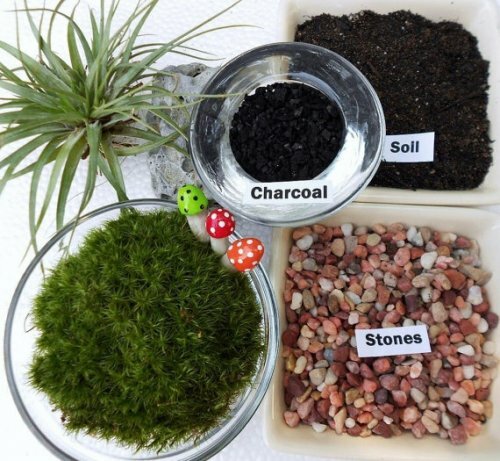 Try having a terrarium station at the shower where guests are invited to create their very own succulent terrariums. It’s a fantastic bonding activity that’s sure to be fun for all. Give guests a succulent of their own at the end of the shower. Simply “plant” a succulent into a pretty container, and voila! 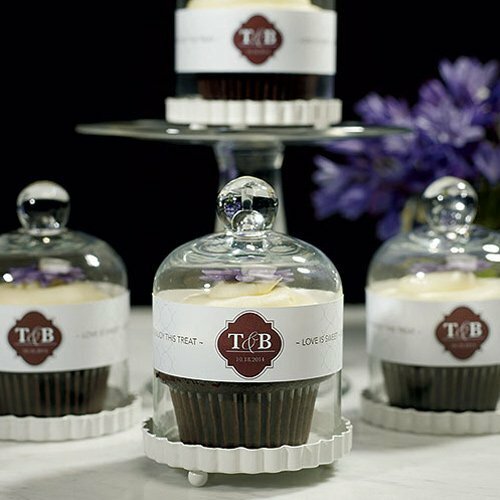 You’ll instantly have a gorgeous, easy-to-care for, and memorable favor. What more could the bride-to-be and her guests ask for? !